ISLAMABAD, Mar 24 (APP):Renowned singer Shahnaz Begum passed away in Dhaka on Sunday after suffering a cardiac arrest at the age of 67. 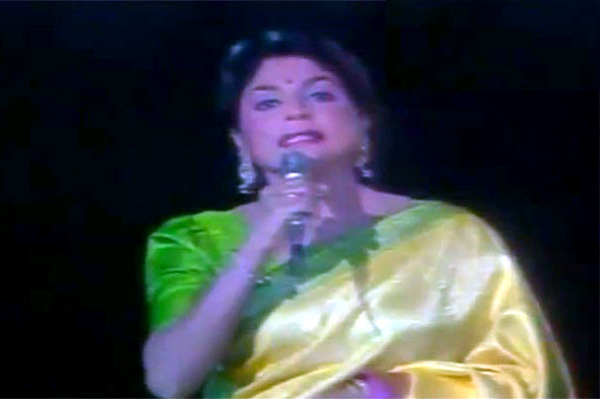 Shahnaz Begum was born on 2 January 1952 in Dhaka. She sang for Bangladeshi and Pakistani films. Shahnaz was best known for singing ‘Sohni Dharti Allah Rakhay’ and ‘Jeevay Jeevay Pakistan’. During her monumentally influential years as a singer in 1960s and 1970s, Shahnaz tremendously impressed the new generation through her superfluous songs. She is survived by her husband and two children. Her funeral prayers will be held today (Sunday) in Dhaka, Bangladesh.